If you’re anything like me, you will at some stage have catapulted a big red bird with underlying irritability issues at a fortress in an attempt to dislodge a cheeky green pig. In 2003, three students from Helsinki University of Technology started up a company building video games. They created game after game, hoping that one would catch on and yield success. Six years went by, and they had produced 51 games, but not one of them had become a hit. Fast running out of money, they worked on their 52nd attempt – a puzzle physics game involving birds and pigs… bingo! Since it first launched, Angry Birds and its spin-offs have been downloaded more than 3 billion times. In 2017, their company, Rovio Entertainment, floated on the stock market with a valuation of over $1bn and the Angry Birds franchise has spawned movies, television series, board games and soft toys (suitable for hurling at a loved one, whether they’re being a pig or not). Rovio is now working hard on its next big hit. 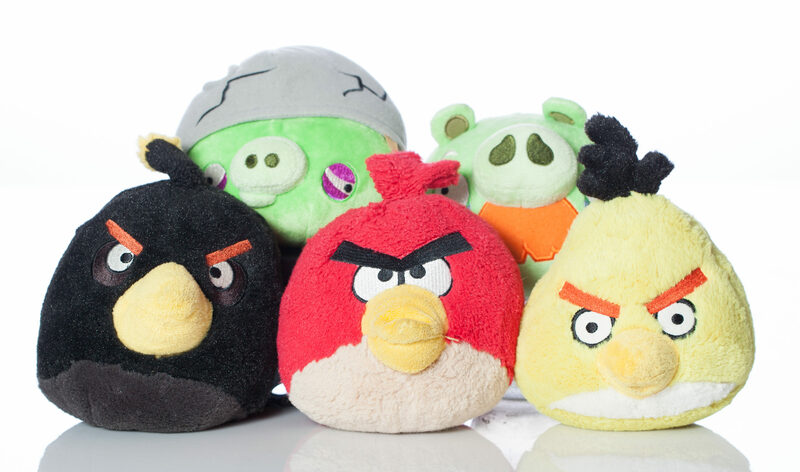 Cantonment, Fl, USA- June 13, 2015: Angry Birds video game stuffed toy shot in studio on white background, product of Rovio Entertainment. I particularly like this story because it stands as a 21st-century example of resilience in the face of continued setbacks. It took these bright, young, creative minds 51 failures before they found success. Get knocked down, get back up! Resilience (or ‘bouncebackability’, if you like a horribly modern term) is something that you develop through your life’s experiences, and I believe it to be a key attribute to success. When you get knocked down, it can be hard to find the inner belief and determination to get back up. However, get up you must if you want to fully achieve your goals. I was young when I started my first business, and I had a habit of reacting with anger and frustration at every setback – big or small. I’d complain and stomp my feet, go on a negative internal battle and then take hours over-thinking why the world was against me. Eventually, I’d decide I’d had enough of that, find some inner belief and start plotting a course forward. Over the years I’ve learned this whole process to be an enormous waste of energy. These days, I’ve cut out the middle bit. I allow myself to feel annoyance for a few minutes (a ‘pity party’) and then move on swiftly to plotting my next move. I now have lots of experience to draw upon, and plenty of contacts, so coming up with strategies is easier. I’m not perfect at it by any means – if I suffer a significant setback then I might find myself briefly falling into old habits. And I still like to have a good rant now and again. But, overall, I see this new process of thinking to be much more healthy and profitable. If you were to ask me for a tip, I’d go with this: when faced with a setback, create yourself a process of steps. Take some time to re-assess, learn what went wrong and then use your experience and, importantly, that of others to your advantage to build a strategy. How well you do this could be key to your forward progress. Follow the example of the Helsinki students and, who knows, your ‘Angry Birds’ moment could be just around the corner (hiding in a fortress next to a pig).